One researcher from the University of Michigan (UE) says that growing and harvesting bioenergy crops is a poor way to fight climate change — instead, we should keep these areas wild and increase forest cover. Biofuels just aren’t very climate-friendly, a new opinion piece published by John DeCicco, a research professor at the UM Energy Institute. 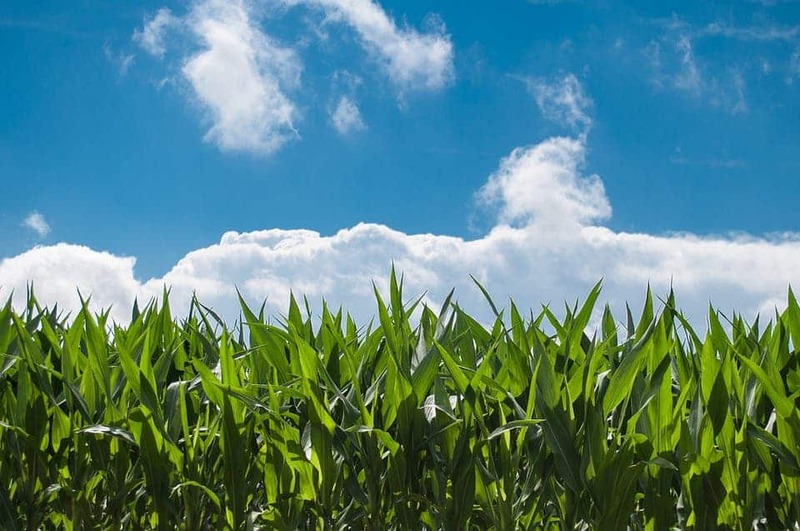 Instead of growing bioenergy crops, such as corn used to produce ethanol, which is a poor use of a limited and precious resource, we should instead nurture wild areas like forests or grassland to help naturally sequester CO2, he adds. Wild areas like forests and grasslands naturally capture carbon dioxide from the atmosphere — and they are one of our best tools for quickly scrubbing greenhouse gasses from the atmosphere, writes DeCicco. In a paper he published alongside William Schlesinger, president emeritus of the Cary Institute of Ecosystem Studies, DeCicco urges policymakers, funding agencies, fellow academics, and industry leaders to shift the focus from bioenergy to terrestrial carbon management (TCM), and do it fast. TCM is a strategy that relies on wild area conservation and increasing tree cover to reduce CO2 levels in the atmosphere. “The world needs to rethink its priorities about how to use the biosphere given the urgency of the climate problem and the risks to biodiversity,” DeCicco said. “Current policies advancing bioenergy contribute to the pressure to convert natural land into harvested forest or cropland,” he adds. The opinion is based on DeCicco’s earlier work, which found that biofuels are not inherently carbon-neutral. It also draws roots from Schlesinger’s work in ecology and biochemistry. The duo calls the assumption that biofuels recycle carbon a major ‘accounting error’. Because such fuels are assumed to be carbon-neutral, current assessment models (used energy policy as well as the protocols for international carbon accounting) do not accurately reflect reality, they explain. This view has also promoted major R&D investments in biofuels, which, in turn, have been assigned a key role in many climate stabilization scenarios. 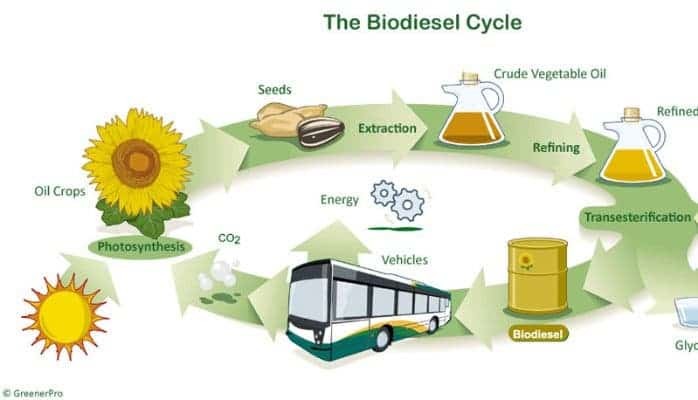 The core (and wrong) assumption with biofuels is the idea that producing a biofuel and then burning it for energy moves a given amount of carbon from the biosphere to the atmosphere, and back again in an unending and stable cycle, the team writes. So, unlike fossil fuels — which only release CO2 as they burn, and not absorb it in their production process — the crops that biofuels are produced from are believed to absorb the same quantity of emissions the fuel generates while being burned. However, the team writes, this assumption isn’t true. For biofuels to really be carbon neutral, the carbon flow from the atmosphere back into vegetation needs to be much faster than it actually is; in other words, the plants need to grow much faster than they do. Otherwise, it can take many decades before the “carbon debt” in the air is repaid by plant growth, they explain. A paper published by DeCicco in 2016 reported that just 37% of the CO2 released from burning biofuels was balanced out by carbon uptake in crops over the first eight years of the U.S. biofuel mandate. In other words, biofuels acted as net carbon contributors to the atmosphere over these eight years, DeCicco claims. Whether or not this evens out over the long term isn’t important for us right now, the authors explain — because we don’t have ‘long-term’, we need to reduce greenhouse gas levels now. Increasing the rate at which trees and other plants remove CO2 from the air is a much better (and faster way) to use land, the duo writes. If no new breakthroughs are made in the field of carbon capture or bioenergy systems, protecting and nurturing carbon-rich natural ecosystems remains our best strategy for carbon dioxide reduction, they add. However, many scientists disagree with DeCicco, whose 2016 paper claiming that biofuels aren’t carbon neutral was funded by the fossil fuel industry. Argonne National Laboratory scientist Michael Wang, an expert in life cycle analyses, says the findings are questionable for a variety of different technical reasons, including the fact that DeCicco only took American farming into account. It’s thus unfair to look at CO2 released by biofuel combustion and biofuel crop carbon sequestration only, simply because CO2, being a gas, is dispersed all over the world. About 29% of San Francisco’s air pollution comes from China, for instance. All of this CO2 will be absorbed by all sorts of plants, such as trees, flowers, corn or sunflower crops, and so on — because plants don’t discriminate between differently sourced CO2. It’s the same chemistry for them. The paper “Reconsidering bioenergy given the urgency of climate protection” has been published in the journal Proceedings of the National Academy of Sciences.